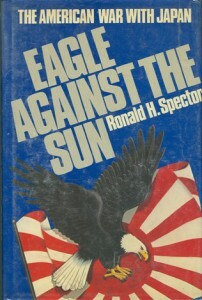 “EAGLE AGAINST The SUN” The American War with Japan. By Ronald H. Spector. Only now, the surrender of the Imperial Japanese Empire on the deck of the American battleship Missouri, can the true scope of the American war in the Pacific fully be understood. Historian Ronald H. Spector, drawing on newly declassified intelligence files, an abundance of British and American archival material, Japanese scholarship and documents, and military men, now presents the most complete, up-to-date, single volume narrative of this conflict yet published. Spector reassesses the U.S. and Japanese strategy and offers some provocative interpretations. He show that the dual advance across the Pacific my General MacArthur and Admiral Nimitz was less a product of strategic calculation and more a pragmatic solution to bureaucratic, doctrinal, and public relations problems facing the Army and Navy. He also argues that Japan made its fatal error not in the Midway campaign but in abandoning its offensive strategy after that defeat and allowing itself to be drawn unto a war of attrition. 1985 Hardback edition with dust jacket. 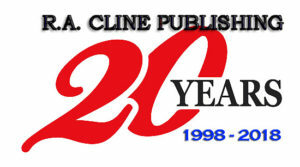 A former library book. 589 pages, 33 black and white photos. A large map of the Pacific war appears inside the front and back covers. an index, no photos.